PRESENTING THE BLUE ALBUM AND THE PINK ALBUM! Produced, arranged and performed by Jason Falkner. Recorded at the legendary Ocean Way Studios and Westlake Audio in Los Angeles, Bedtime With The Beatles: Instrumental Versions Of Classic Beatles Songs is like no other collection of Beatles songs ever recorded. Produced, arranged and performed by critically-acclaimed musician, Jason Falkner, this album is a collection of Beatles hits innovatively arranged as lullablies. Falkner's formidable talents were enlisted to ensure that this new collection maintains the artistic integrity integral to the timeless music of Lennon/McCartney. Falkner, a former member of the popular Beatle-esque pop group Jellyfish, as well as an accomplished solo artist, brought all of his considerable musicianship and production skills into realizing this ambitious project. Working with lush guitars, rich strings, mellifluous keyboards, and soothing woodwinds, Falkner treats each song with individual respect, displaying a keen appreciation and understanding of the The Beatles' songwriting and sound. Filled with wonderful Beatle-esque textures, beautifully-arranged Lennon/McCartney melodies, and a strong pop sensibility, this album gives new meaning to the word 'lullaby'. And, most importantly of all, it will 'pass the audition' when it comes to even the most discerning Beatles fan. Beatles songs transcend the boundaries of generations. There is no better proof of this than the historic success of their most recent album, 1, which is the best-selling Beatles album ever, selling over 20 million units to date and garnering a whole new generation of Beatles fans. 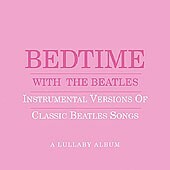 These instrumental lullabies were created especially for Beatles fans. Working with a variety of instrumentations and sounds, Jason Falkner treats each song with individual respect and character while maintaining the artistic integrity of the original Lennon/McCartney classics. These are soothing versions of quintessential favorites that any Beatles' fan will cherish and want to share with their children. This music is perfect for relaxing --- or for lulling your child to sleep. The album package is available in two colors - The Pink Album and The Blue Album - making it a great gift for new parents. Lyrics are included so that you can sing your baby to sleep. - Jason's keen appreciation and understanding of Beatles songs, combined with his expert musicianship and production/arranging skills, ensure that each arrangement maintains the 'pop sensibility' integral to the Lennon/McCartney compositions. Jason is an alternative/pop icon. His multiple fan sites have been buzzing about this album for months and his fans are eagerly awaiting the album's release. The album will be serviced to multiple formats. Loews/Cineplex Theater promotion will include: On-screen slide ad (2,900 screens; 8 million impressions). CD mailings to day care centers. Lead review in October issues of Family Fun and Parents. A comprehensive print campaign will run in lifestyle, family and parenting publications. Soothing instrumental versions of 11 favorite Beatle classics - arranged as Lullabies. Soft guitars, lush strings, and mellifluous keyboards are beautifully arranged to create rich Beatlesque textures that maintain the integrity of the original Lennon/McCartney classics. The album package will be available in 2 different colors - the "Pink Album" and the "Blue Album" - making this the perfect baby shower gift. 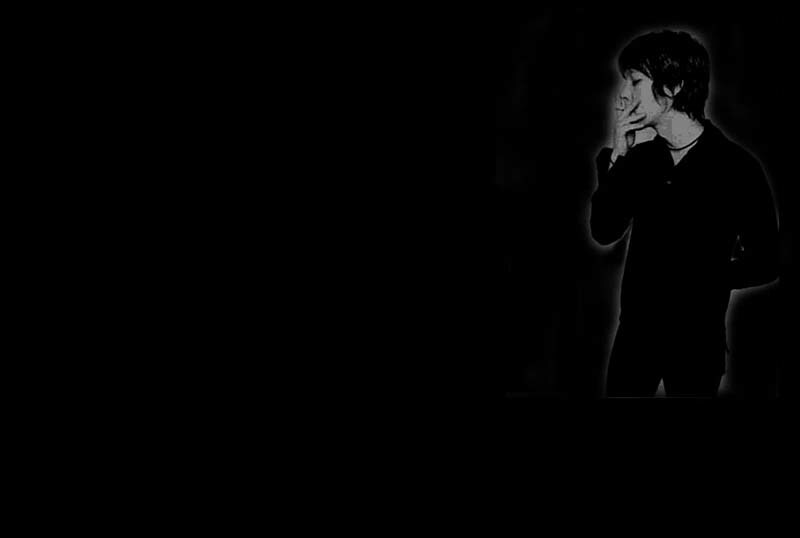 Produced, arranged and performed by Jason Falkner - the perfect choice for this project. Jason's keen appreciation and understanding of the Beatles 'sound', combined with his expert musicianship and production/arranging skills, ensure that each arrangement maintains the 'pop sensibility' integral to the Lennon/McCartney compositions. member of the critically-acclaimed group Jellyfish (a Jellyfish box-set will be released this fall by Capitol/Not Lame), member of The Grays (Epic Records), has two critically-acclaimed solo albums on Elektra (Can You Still Feel was produced by Radiohead producer, Nigel Godrich), Travis single "Killer Queen" - plays piano and vocals, Josie and the Pussycats Soundtrack - co-wrote 2 songs, Currently touring with French duo Air, Recorded at the world-famous Ocean Way Studios (Sinatra, Streisand, Beach Boys, Ellington, Clapton, Stones). The 'must-have' album for every generation of Beatles fans. Great for lulling children to sleep - or for 'centering' yourself after a hard day at work. A brilliant song will always transcend trends and the fickle memory of your average listener simply because we need them. I think that the Beatles are as popular now as they were when they were together simply because of the sheer quality of their songs. Great songs are hard to come by and the Beatles - maybe because of planetary alignment or divine intervention or perhaps they are just extraordinary mortals - wrote and recorded possibly the most consistently brilliant collection of songs in the 20th century. Whether or not this is true, the Beatles always seemed unconcerned and beyond what was happening around them and this afforded them the luxury to create unaffected work. Over the years I have looked to their example for that feeling of freedom and purity. Unquestionably their songs have inspired me, but the most important influence they have had on me is in a feeling of musical and personal freedom that I get from them. -On the songs for Bedtime With The Beatles? Figuring out which songs to include on this album was not easy- believe me. Everyone I talked to had a favorite that I just "had" to do. Most of these suggestions were the songs that, in my opinion, were too obvious for a children's record. The challenge for me was to find the songs that worked when the melody was represented by an instrument instead of a voice, without turning it into elevator muzak. I knew I wanted to do Paul's "Fool On The Hill" and "Blackbird", and John's "I'm Only Sleeping" and "Across The Universe" and the rest just came together naturally. I've certainly added my own sensibilities to their songs but the melodies are intact with plenty of ear candy to snack on. I had to serve several muses while recording this record. The Beatles themselves were the first in my mind. What would they think of that Moog overdub? Would they approve? I'll probably never know - but I hope they will feel the love that I have for their music in every note of this album. Second on my mind was the Beatles fan. I, being a Beatles fan, would be very skeptical of listening to "covers" of Beatles songs-even for babies. These songs have been a thread connecting generations and are treated with an almost mythic amount of respect and adoration by all of us and I have tried to keep this apparent in every song. Ultimately, the idea of introducing a new generation of wee-ones to this music I was raised on is an honor and thrill beyond compare. So for the parents, or future parents, I've taken great care in presenting a soothing and lush environment for you and your baby to explore the Beatles together.